IJC’s mission is to recruit, train, and populate the immigration field with the highest quality legal advocates to create a new generation of leaders with a lifelong commitment to immigrant justice. Legal services are in short supply. In New York City, 60% of detained immigrants facing deportation did not have attorneys by the time their cases were completed. Further, an estimated 40% of undocumented children were eligible for legal immigration status under current law, but too few had legal counsel to help them access those opportunities. Legal services have a real impact. Individuals facing deportation who are not detained are successful in their cases 74% of the time when they have counsel, and only 13% of the time when they don’t. These findings inspired Judge Katzmann to find a solution. With the substantial support of The Robin Hood Foundation, under the programmatic direction of Eric Weingartner and Veyom Bahl, a process was created to develop Immigrant Justice Corps. IJC was designed through extensive research and consultation with experts across the legal field. For advice, Robin Hood contracted with a team of consultants, including Professor Peter Markowitz of Cardozo Law School, Nisha Agarwal, then of Make the Road, NY; and David Stern, Executive Director of Equal Justice Works. An Advisory Council of leading lawyers also provided input. IJC is committed to addressing unique geographic needs and changing immigration policies by using innovative models. A suburb located next to New York City, Long Island has quickly entered the national conversation on immigration reform. Unlike their counterparts in New York City, immigrants on Long Island have long suffered from disparate access to competent legal representation in Immigration Court. That is why in September 2015, following an unprecedented number of Central American immigrants arriving on Long Island, IJC responded by partnering with the Central American Refugee Center (CARECEN) in Nassau County to help meet the urgent need for quality immigrant representation. In 2018, this partnership gave birth to the Long Island Project, a long-term collaboration between IJC and CARECEN to bolster Long Island’s pool of high-quality immigration lawyers and advocates. Through this partnership, IJC created a team of Justice Fellows (lawyers), Community Fellows (federally accredited legal representatives), a Social Worker, and a Supervising Attorney to increase CARECEN’s ability to litigate complex deportation cases in defense of Central American families. In less than a year and in partnership with the rest of CARECEN’s legal staff, the Long Island Project has already offered over 200 consultations, agreed to defend over 100 Central American asylum seekers in Immigration Court and in their appellate cases, and more importantly, offered the Long Island community a new source of holistic defense against the anti-immigrant rhetoric from Washington. In response to to the dramatic increase of immigrant parents with children arriving from Central America to the U.S. in 2015, IJC mobilized its resources. Justice and Community Fellows were sent to Karnes, Texas, on two-week and three-month rotations to provide critical legal assistance at the Karnes Family Detention Center. Fellows helped more than 1,000 detained Central American mothers and children who were at risk of deportation, despite having viable asylum claims. Committed to ensuring a permanent solution, IJC established two Justice Fellows at the host organization, RAICES, to continue this important work. 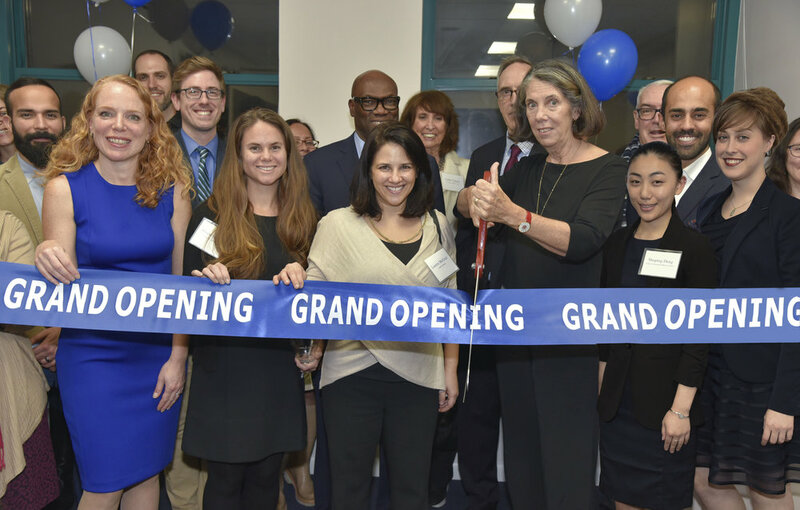 In October 2018, IJC launched the low bono practice, Center for Immigrant Representation in Jersey City, New Jersey. The practice offers high quality legal services to immigrants with incomes that make them ineligible for pro bono services. The practice meets demand for quality representation in under-served locations, trains committed young attorneys and legal representatives to run a high quality private practice, and develops a sustainable, replicable business model based on reasonable fees and exceptional management. IJC is uniquely positioned to pioneer a low bono practice because of its expanding talent pool, robust network of partners and record as a champion for justice. Follow along as a second year IJC Justice Fellow shares a week in her life. For International Women’s Day, IJC honors immigrant women and girls. Introducing IJC's 2019 Class of Justice Fellows! Learn more about our incoming class of Justice Fellows. We spoke with J.J. to learn how his IJC Fellowship helped shape his career. For the second year in a row, IJC is sending a team of runners to participate in the NYC Half Marathon. Join our mailing list to get news and updates from IJC. Thank you for joining IJC’s mailing list!